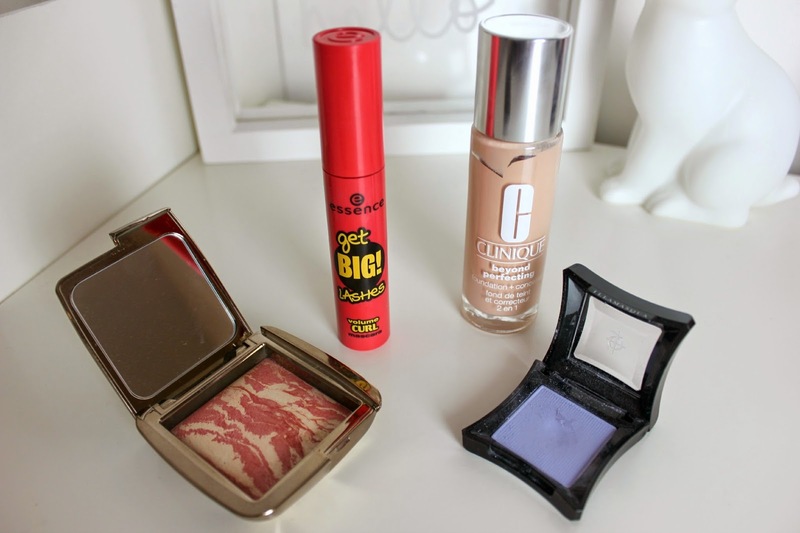 Firstly I feel on one hand March has flown in and on the other its been ages since my March Favourites! Im not sure how but I think its down to the past few weeks coming in so quickly! So it also means its April Favourites time too! After loving Benefit's Roller Lash in March, I'd also been using Essence Get Big Lashes Mascara on and off too. Though in April this was the only mascara I used, It curls my lashes really well and adds a little volume but not much. Im using it for the curling aspect anyway so that doesn't really bother me. It may not hold the curl as well as Roller Lash, but with the price difference this doesn't do a bad job at all! The foundation Ive reached the most for has to be the Clinique Beyond Perfecting Foundation and Concealer. I did a full review of it HERE, but Ive just really been loving the coverage it gives, while still sitting lovely and naturally on the skin. Even if the shade range is a little dodgy! The Hourglass Ambient Lighting Blusher in Diffused Heat, isn't really something I reach for regularly as Im usually having to be surgically removed from my Illamasqua ones. Though this month this is really the only blusher I wore. Its very pricey but the way it sits on the skin and leaves you with a radiant healthy looking glow, it cant be beaten! Im eyeing up more shades as we speak! It wouldn't be a favourites post for me without Illamasqua! I have been especially loving their Powder Shadow in Creep, a lavender blue shade. Not one I ever thought I could pull off but its beautiful in the inner corner with purple all over the eye. Over the Easter Break I took part in doing the Makeup for Sister Act, although I love my MAC Brush Cleaner, it can be a bit difficult to travel with as its quite a big bottle! So I ran into Superdrug and picked up the B. 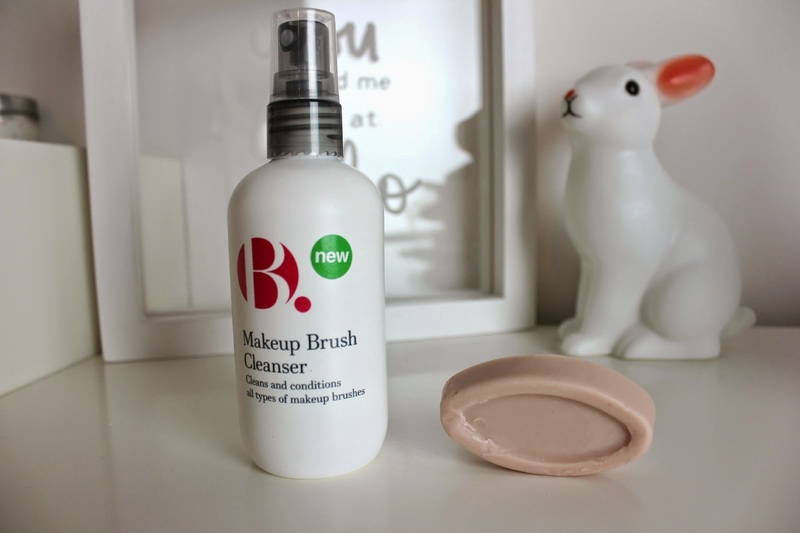 Beauty Brush Cleanser that was recently launched. In all honesty I didn't have high hopes compared to my MAC one. But wow was I wrong, this stuff is fantastic, a couple of quick sprays and wipe your brush a few times on a towel and its clean! Its so quick and easy to use, fantastic to spot clean with! My last beauty favourite is the Lush Solid Serum in Full Of Grace, I featured this in my Nightly Skincare Routine, to replace a Night Cream. I was going to buy a Night Cream but I love this stuff that much I just want to constantly apply it. Ive noticed a huge difference in how hydrated my skin looks and feels, it sinks into the skin so quickly and I cant believe how little you actually need! My Fashion favourite this month has to be my Topshop Duster Coat, I got this recently in a Haul and it was very pricey. So I wanted to make sure I would wear it as I was originally a little unsure. However I feel like I'll also need to be surgically removed from this too as Ive pretty much lived in it, bar the day it decided to snow! (In April!! Thank you Scotland!) Its really light weight but still keeps you nice and warm, so its been great for this time of year. Hopefully I'll have some favourites for you for May, because I've been loving these products so much I really cant see me giving them up any time soon! That coat is perfect! I've been wanting a coat like that for a while but I'm worried that it will swamp me! I could really do with a makeup brush cleanser aswell, I hate faffing about with baby shampoo aha. I'm always looking to try new mascaras so I'll definitely have to pick up that essence one! Who'd have thought such a cheap one could be decent? Really enjoyed this post - I love having a nosy at everyone elses favourites. I love your coat! It's gorgeous! 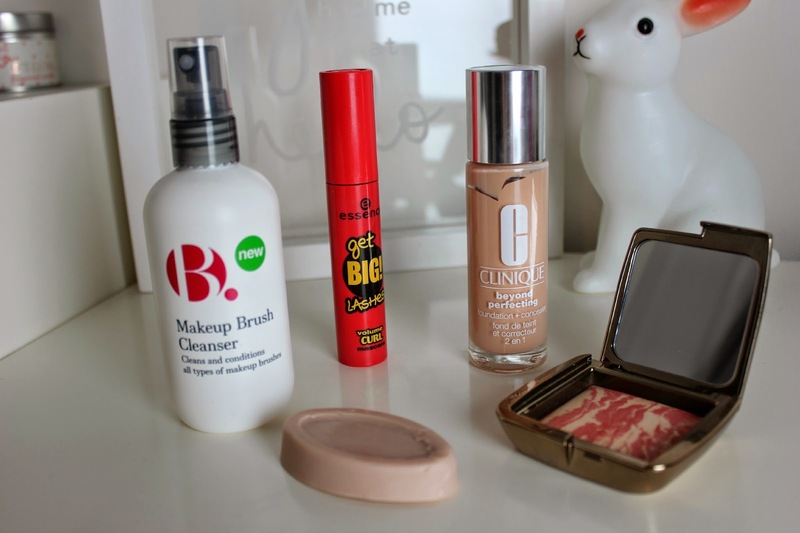 I'm going to pick up the Clinque foundation when I get a bit closer to my winter shade again!